Another of my Brother-in-law's cars owned for a while then sold on. In excellent condition despite being 19 years old. The 944S2 was introduced in 1989 and powered by a 211 PS (155 kW; 208 hp) 3.0 litre engine. The 944S2 had the same rounded nose and a rear valance found on the Turbo model. 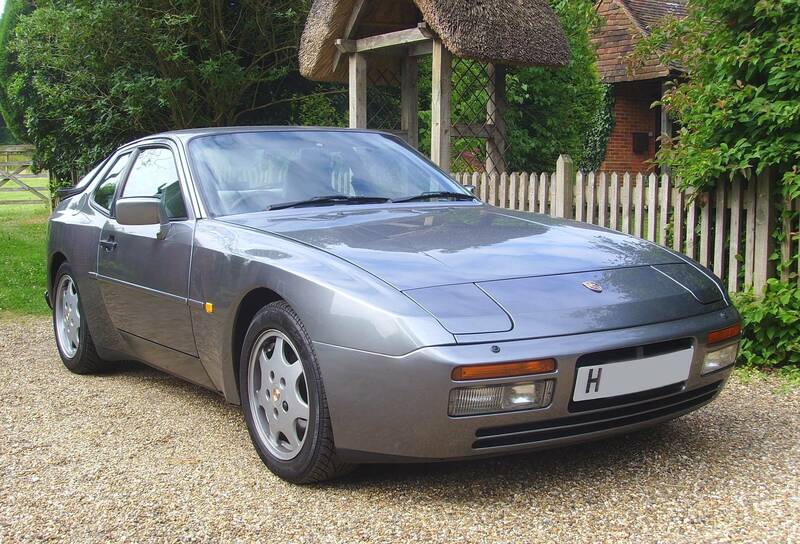 The S2 was also available as a cabriolet, a first for the 944 line. About 14,000 944S2s were built . Normally-aspirated 4 cylinder16-valve 3.0 litre engine. 2 balance shafts in the engine gave a smooth "6 cylinder feel"
Excellent road holding and handling.